Jo-Anne and I produced a rare mid-month Literary Update in the midst of the fire and ashes of October’s tragedy. Today’s post follows up on the fire’s effect on our literary community, as well as our resilient and creative response to it. 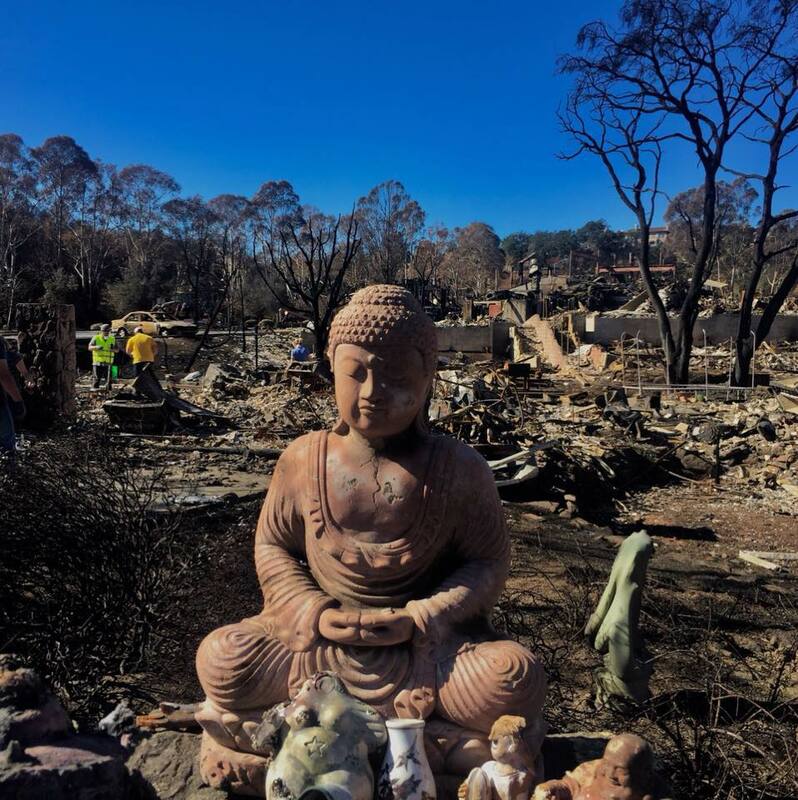 The photo of the Buddha amid the ashes is by Ed Coletti, who lost his home when the flames roared through the Fountaingrove area in the early morning hours of October 9. Please mark your calendars for Sunday, November 12, 1-2:30 for a community reading at the Sebastopol Center for the Arts. The afternoon event will feature Iris Dunkle, our poet laureate; the poetry of local writers who lives were upended by the fires, some who lost their homes to the flames; young writers; and music by Jean Wong and Marc Helfman. You’ll find the names of many of the readers included in the list below. Refreshments will be available. The event is free. Sponsored by WordTemple with organizing help from Iris Dunkle, Terry Ehret, Katherine Hastings, Larry Robinson, and 100 Thousand Poets for Change. Location: 282 S. High Street, Sebastopol. If you or anyone you know has been displaced by the fire and in need of assistance, let us know how we can help. You can contact us at sonomacountyliteraryupdate@gmail.com. Ed and Joyce Coletti: looking for a permanent rental and / or purchase situation. Preferably Santa Rosa. Anywhere from Windsor to Petaluma okay. Countless others were evacuated and lived for a week or more, anxiously awaiting the fate of their homes. Some of these evacuees include Jodi Hottel, Greg Randall, Toni Wilkes, Jackie Hallerberg, Kathleen Winter, Amy Elizabeth Robinson, Maya Khosla, Clare Morris, Vilma Ginzberg, Jean Wong, Mark Helfman, Stephanie Moore, Tonya Ward Singer, Sarah Amador, Eve Goldberg, Wray Cotterill, Laurel Harper. Tonya Singer has a blog in which she recounts her experiences during the fires. You can check this out at this link: https://tonyasinger.com/writing-from-the-ashes/. Her poem “Santa Rosa Rising” appears at the end of this post. In relation to losses in the fires, Jamie Fitzgerald, at California Poets& Writers, has offered to post any gofundme campaigns or fundraisers for writers on her California listserve. She can be contacted at the LA P&W office, jfitzgerald@pw.org. You might also consider making a contribution to Poets In Need, a non-profit organization founded in 2000 by Board Members Michael Rothenberg, Norman Fischer, and Leslie Scalapino. Lyn Hyjenian, Hal Bohner, and Suzi Winson. If you have questions, send2018poetryanthology@redwoodwriters.org. This call for poetry and photography just came in from haiku poet Jessica Malone Latham and community activist and environmental advocate Kristin Maharg Suarez. The anthology aims to give Sonoma County residents a forum to share their voice and create a breathing piece of history. Deadline for submissions is December 31, 2017. Please see Calls for Submissions page for details. Authors with recent journal publications, please send the relevant information to editor@socolitupdate.com, rather than to Ed Coletti. 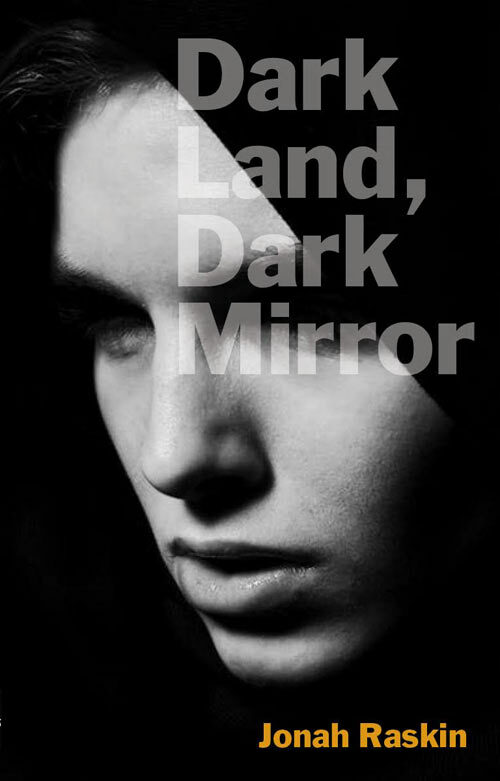 Jonah Raskin launches Dark Land, Dark Mirror, his new noir, murder mystery, at Readers’ Books, 130 E. Napa, Sonoma, Thursday, November 9, 7:00 p.m. Free and Open to the Public. Books will be for sale. Please check the calendar page for a complete listing of events throughout the county and beyond. Here are a few I’d like to spotlight. Saturday, November 11, 9:30 a.m.-12:30 p.m. First of four weekly writing workshops with Dan Coshnear at the Sitting Room. See Workshops page for details. Sunday, November 19, 1:30 p.m. Phyllis Meshulam is featured, reading from her new book, Land of My Father’s War, along with students Rebecca Pugmire and Azul Galvan. Free. Healdsburg Literary Guild Series, The Bean Affair in Healdsburg, 1270 Healdsburg Ave. Open mic follows. Sunday, November 19, 3:00-5:00 p.m. Occidental Center for the Arts Book Launch Series. The Ballet Lover by Barbara Baer exposes the beauty and cruelty in the professional world of ballet, the intense performances, the backstage intrigues, and the stars, Rudolf Nureyev and Natalia Makarova. OCA: 3850 Doris Murphy Way, Occidental, CAFor more info: occidentalcenterforthearts.org or 707-874-9392.